May 7, 1798- 1801. Winthrop Sargent, commissioned Governor of the Mississippi Territory. He was born May 1, 1753, at Gloucester, Mass. ; died June 3, 1820 at New Orleans, La. ; and is buried at Natchez, Miss. April 1, 1801— Nov. 23, 1801 – Col. John Steele, the time elapsed from Winthrop Sargent’s expired term, Col. John Steele was Acting Governor – had formerly been Secretary of the Mississippi Territory and served as acting Governor while Claiborne made his way to the territory. Col. Steele was very ill himself and little official business was conducted. His term as secretary ended in 1802. May 25, 1801 -1803 William Charles Cole Claiborne, commissioned Governor of the Mississippi Territory. He was born August, 1775, in Sussex county, Va.; died Nov. 23, 1817, at New Orleans, La. ; and is there buried. He was only 26 years old. 1804—Lt. Col. Cato West, (b. 1789 VA) Acting Governor (and Governor ad-interim) – he was appointed Secretary of the Territory to succeed Col. John Steele – March 1, 1803 – He was appointed Acting Governor of the Mississippi Territory when William Claiborne was appointed Governor of the new Louisiana Territory, Orleans Territory. 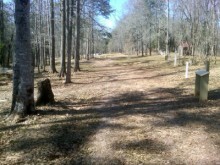 He served until March 1805 when Robert Williams of North Carolina was appointed Governor. March 1, 1805. – 1809 Robert Williams, commissioned Governor of the Mississippi Territory. He was born July 12, 1773, in Prince Edward county. Va.; died Jan. 25, 1836, at Ouachita, La. ; and is there buried. March 7, 1809- 1817 -David Holmes, commissioned Governor of Mississippi Territory. He was born March 10, 1769 in York county. Pa.; died Aug. 20, 1832, in Winchester, Va.; and is there buried. September 25, 1817, temporary, December 16, 1817, permanent. William Wyatt Bibb, commissioned Governor of the Alabama Territory. He was born October 1, 1780, in Amelia County, Va.; died July 9, 1820, at Coosada, near Montgomery, and is there buried. November 9, 1819. William Wyatt Bibb, of Autauga County, inaugurated Governor of the State of Alabama. He was born October 1, 1780 in Amelia county, Va.; died July 9, 1820, at Coosada near Montgomery, Ala.; and is there buried. July 15, 1820 to Nov. 9, 1821. Thomas Bibb, of Limestone county, acting Governor of the State of Alabama. He was born in 1783 in Virginia; died Sept. 20, 1839, at Belle Mina; and is buried at Huntsville. November 25, 1829. Gabriel Moore, of Madison county, inaugurated Governor of the State of Alabama. He was born in 1785, in Stokes county, N. C.; died June 9, 1844, in Caddo, Texas; and is there buried. November 26, 1831. John Gayle, of Greene county, inaugurated Governor of the State of Alabama. He was born Sept. 11, 1792, in Sumter district, S. C.; died July, 1859, in Mobile, Ala.; and is there buried. November 21, 1835. Clement Comer Clay, Sr., of Madison, inaugurated Governor of the State of Alabama. He was born Dec. 17, 1789 in Halifax county, Va.; died Sept. 7, 1866, at Huntsville, Ala.; and is there buried. July to November, 1837. Hugh McVay, of Lauderdale county, acting Governor of the State of Alabama. He was born in 1788 in S. C.; died in 1851, in Lauderdale county, Ala.; and is buried near Florence. November 21, 1837. Arthur Pendleton Bagby, of Monroe county, inaugurated Governor of the State of Alabama. He was born in 1794 in Louisa county, Va.; died Sept. 21, 1858, in Mobile; and is there buried. November 22, 1841. Benjamin Fitzpatrick, of Autauga county, inaugurated Governor of the State of Alabama. He was born June 30, 1802, in Greene county, Georgia; died November 25, 1869, in Wetumpka, Ala.; and is buried in Montgomery. December 10, 1845. Joshua Lanier Martin, of Tuscaloosa county, inaugurated Governor of the State of Alabama. He was born Dec. 5, 1799, in Blount county, Tenn.; died Nov. 2, 1866, in Tuscaloosa, Ala.; and is there burled. December 16, 1847. Reuben Chapman, of Madison, inaugurated Governor of the State of Alabama. He was born July 15, 1799, in Caroline county, Va.; died May 17, 1882, at Huntsville, Ala.; and is there burled. December 17, 1849. Henry Watkins Collier, of Tuscaloosa county, inaugurated Governor of the State of Alabama. He was born Jan. 17, 1801, in Lunenburg county, Va.; died August 28, 1855, in Bailey’s Springs, Ala.; and is buried at Tuscaloosa. December 20, 1853. John Anthony Winston, of Sumter county, inaugurated Governor of the State of Alabama. He was born Sept. 4, 1812, in Madison county, Ala.; died Dec. 21, 1871, at Mobile, Ala.; and is there buried. December 1, 1857. Andrew Barry Moore, of Perry county, inaugurated Governor of the State of Alabama. He was born March 7, 1806, in Spartanburg district, S. C.; died April 5, 1873, at Marion, Ala.; and is there buried. December 2, 1861. John Gill Shorter, of Barbour county, inaugurated Governor of the State of Alabama. He was born April 23, 1818, at Monticello, Ga.; died May 29, 1872, at Eufaula; and is there buried. December 1, 1863. Thomas Hill Watts, of Montgomery county, inaugurated Governor of the State of Alabama. He was born Jan. 3, 1819, in Butler county, Ala.; died Sept. 16, 1892, in Montgomery, Ala.; and is there buried. June 21, 1865 to Dec. 1865. Lewis Eliphalet Parsons, of Talladega county, provisional Governor of the State of Alabama. He was born April 28, 1817, in Broome county, N. Y.; died June 8, 1895, at Talladega, Ala.; and is there buried. December 20, 1865. Robert Miller Patton, of Lauderdale county, inaugurated Governor of the State of Alabama. He was born July 10, 1809, in Monroe county, Va.; died Feb. 1885, at Sweet water near Florence; and is buried in Florence, Ala.
1867-1868 – Wager Swayne – was born on November 10, 1834, in Columbus, Ohio. – In 1865, General Oliver O. Howard, head of the Freedman’s Bureau, appointed Swayne to oversee the agency’s activities in Alabama. Upon completing his military service, Swayne established a law practice in Toledo, Ohio. July 14, 1868. William Hugh Smith, of Randolph county, inaugurated Governor of the State of Alabama. He was born April 9, 1826, in Fayette county, Ga.; died Jan. 1, 1899, in Birmingham, Ala:; and is there buried. November 26, 1870. Robert Burns Lindsay, of Colbert county, inaugurated Governor of the State of Alabama. He was born July 4, 1824, in Lochmaben, Dumfriesshire, Scotland; died Feb. 13, 1902, in Tuscumbia, Ala.; and is there burled. November, 1872. David Peter Lewis, of Madison county, inaugurated Governor of the State of Alabama. He was born 1820, in Charlotte county, Va.; died July 3, 1884, at Huntsville, Ala.; and is there buried. November 24, 1874. George Smith Houston, of Limestone county, inaugurated Governor of the State of Alabama. He was born Jan. 17, 1818, in Williamson county, Tenn.; died Dec. 31, 1879, in Athens, Ala.; and is there buried. November 28, 1878. Rufus W. Cobb, of Shelby county, inaugurated Governor of the State of Alabama. He was born Feb. 25, 1829, in Ashville, Ala.; died in 1910, at Woodlawn, Ala.
Dec. 1, 1882. Edward Asbury O’Neal, of Lauderdale county, inaugurated Governor of the State of Alabama. He was born in Madison county, Ala.; died Nov. 7, 1890, in Florence, Ala.; and is there buried. Dec. 1. 1886. Thomas Seay, inaugurated Governor of the State of Alabama. He was born Nov. 20, 1846, in Greene county, Ala.; died March 22, 1896, in Greensboro, Ala.; and is there buried. December 1, 1890. Thomas Goode Jones, of Montgomery county, inaugurated Governor of the btate of Alabama. He was born Nov. 26, 1844, in Macon, Ga.
December 1, 1894. William Calvin Oates, of Henry county, inaugurated Governor of Alabama. He was born Nov. 30, 1833, in Pike county, Ala.
December 1, 1896. Joseph Forney Johnston, of Jefferson county, inaugurated Governor of Alabama. He was born March 23, 1843, in Lincoin county, N. C.
December 26, 1900. William James Samford, of Lee county, inaugurated Governor of Alabama. He was born Sept. 16, 1844, in Greenville, Meriwether county, Ga.; died June 11, 1901, in Tuscaloosa, Ala.; and is buried in Opelika. Dec. 1-26, 1900. William Dorsey Jelks, of Barbour county, acting Governor Dec. 126, 1900, Governor June 11, 1901, regularly elected Governor, Nov. 4, 1902. He was born Nov. 7, 1855, at Warrior Stand, then in Russell, now Macon county, Ala.; living 1921, at Eufaula, Ala.
1904, several months. Russell McWhorter Cunningham, of Jefferson county, acting Governor of Alabama. He was born Aug. 25, 1855, at Mt. Hope, Lawrence county, Ala.; living 1915 at Ensley, Ala.
Jan. 14, 1907. Braxton Bragg Comer, of Jefferson county, inaugurated Governor of Alabama. He was born Not. 7, 1848, at Spring Hill, Barbour county, Ala.; living 1921 in Birmingham, Ala.
January 17, 1911. Emmett O’Neal, Lauderdale county, inaugurated Governor of Alabama; he was born September 29, 1853, at Florence; living 1921 in Birmingham, Ala.
January 18, 1915. Charles Henderson, Pike county, inaugurated Governor of Alabama, he was born April 26, 1860, in Pike county; living 1921 in Troy, Ala.
January 20, 1919. 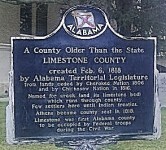 Thomas E. Kilby, Calhoun county, inaugurated Governor of Alabama. 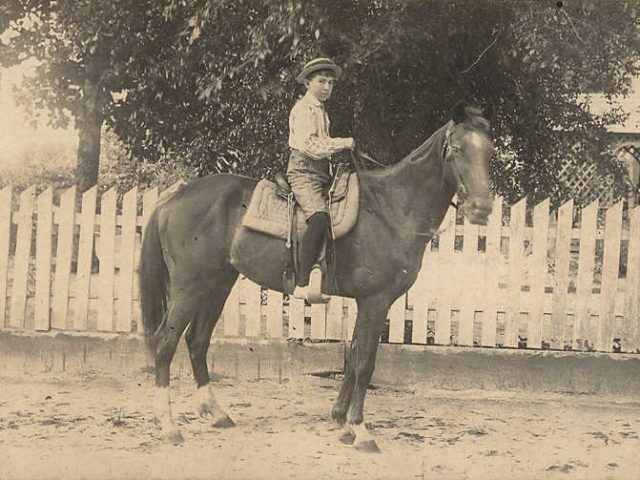 He was born July 9, 1865, at Lebanon, Tenn.; living 1921 at Annlston, Ala. The New International Encyclopedia, Vol. 16 (1916); Mss. data in Alabama Department of Archives and History. Robert Sargent is this an ancestor of yours? Do you plan to post Governors of Ala the last 100 years? I enjoyed reading where they were from, etc. the first 100 years. I have a property deed from 1828, signed by Governor Collier, if anyone is interested. Governor Robert Miller Patton did live in Florence at the time of his death, but he is buried at Maple Hill Cemetery in Huntsville in his family plot.